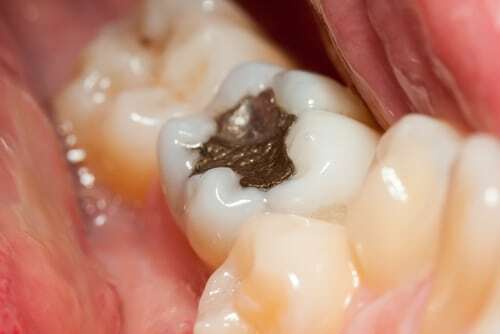 Amalgam fillings are the older, traditional silver-style fillings. Amalgams consist of 50% mercury along with a combination of silver, tin, and copper metal. As such, for some who prove to be sensitive to metals then prolonged exposure to these amalgams can potentially lead to a number of serious health issues. Exposure to amalgams can be greatly increased by habits like grinding your teeth, chewing gum, and drinking fizzy drinks. Today, there are a number of other much healthier, much safer options available when it comes to fillings. In addition, there are now numerous safe and affordably strategies that significantly reduce the amount of mercury that you are exposed to during amalgam removal process. One of the main holistic dentistry services that we provide is the safe removal of mercury amalgam (such as that found in old metal fillings). We perform this procedure with the utmost care to minimise the risk of you swallowing toxic debris. Proper isolation and high volume suction are critical. So, we use a rubber dam to protect you, and to improve the bond of the new restoration. Once all mercury is safely removed, the debris must then be properly disposed. Here at dhealth Dentistry, we take environmental considerations seriously. So we’ve made sure our disposal methods are as safe as possible. Our unique suction system separates 99% of the amalgam, trapping it in a special filter, before the waste fluid reaches the drain. This new standard of environmental care for dentists (with which dhealth Dentistry is already compliant) eradicates mercury contamination of water, and will soon become law for all Australian dental practices. In cases where the tooth has extensive cavities a pin may be required in order to save the tooth and restore its functionality. A pin is inserted into the dentin and is used to support the composite fillings that are designed to restore the structure of the tooth. These pins allow the filling to remain in place and provide protection to gums in cases of severely damaged teeth. This form of treatment is very successful in preventing patients from having teeth extracted. Holistic dental care, such as the removal of amalgam fillings, helps detects symptoms of potential problems early on. This allows our team to address issues before they escalate, causing more serious oral and overall health concerns. The removal of amalgam fillings eradicates many toxic substances from your body, ensuring your overall health and wellbeing. For instance, we use only BPA-free composite fillings. BPA is a harmful chemical found in many types of plastic, which causes negative health impacts. By it’s very nature, holistic dental care and removal of amalgam fillings, improves your overall quality of life, and general health and wellbeing.